Midway through the exhibition “Italian Style: Fashion Since 1945,” up through January 4 at the MIA, the gallery called Hollywood on the Tiber spotlights the role of films and celebrities in popularizing Italian fashion worldwide in the 1950s and ’60s. Many of the objects in this section boast high-profile provenances, having been worn by Audrey Hepburn, Ava Gardner, Lee Radziwill, Maria Callas, and other famous folks. But one item stands out: a Bulgari brooch—studded with colorless, brown, and yellow diamonds—once owned by Elizabeth Taylor. The brooch was given to Taylor for her 30th birthday, in February 1962, by her then-husband Eddie Fisher. It was accompanied by matching earrings and a ring. At the time, Taylor was in Rome filming Cleopatra, one of the most indulgent movies ever made, and had just embarked on her one lasting love affair—with Bulgari jewelry. Taylor later remarked, “Undeniably, one of the biggest advantages to working on Cleopatra in Rome was Bulgari’s nice little shop. I used to visit Gianni Bulgari in the afternoons and we’d sit in what he called the ‘money room’ and swap stories…And the jewelry? The exclusive crème de la crème pieces were tucked away in a small room.” One senses that Gianni frequently granted Taylor access to that small little room after their afternoon chats. By the time of her death, in 2011, Taylor had amassed an impressive jewelry collection and many of her prized pieces were Bulgari jewels. 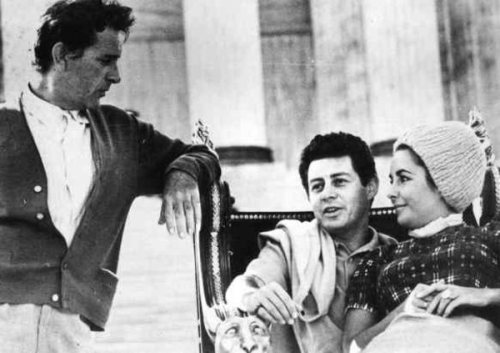 Taylor on the lap of Eddie Fisher, her husband at the time, on the set of “Cleopatra” in Rome in early 1962. 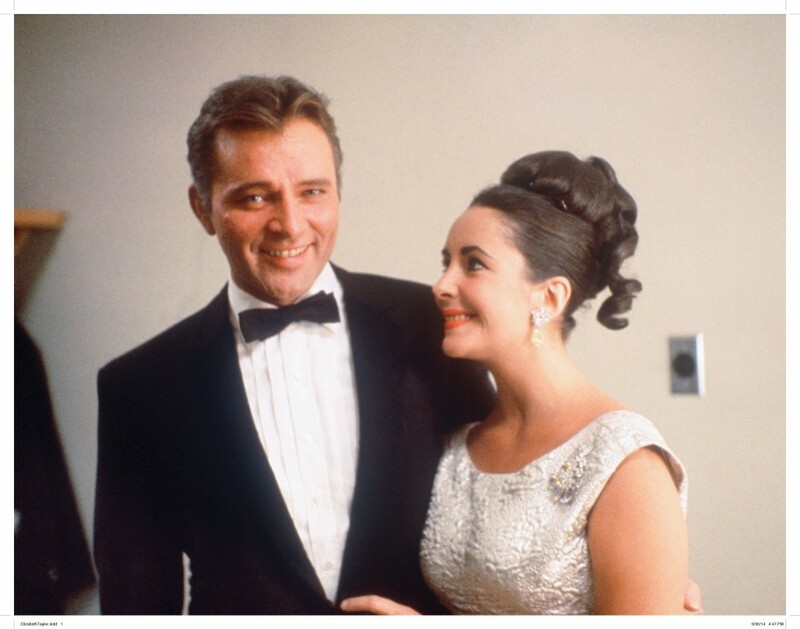 Richard Burton, looking on, was already prying her away. Taylor with Burton—wearing the brooch from Eddie Fisher. Reactions were just as extreme back in the United States, where a Georgia congresswoman and an Ohio representative tried to bar Taylor and Burton from returning to the U.S. in order to protect the nation’s delicate moral fiber from coming into dangerous contact with the ill-behaved lovers. Meanwhile, Cleopatra ran over schedule and over budget—largely due to the offstage antics of the co-stars—to such a degree that 20th Century Fox execs fired the film’s producer and director, and then went after the leading actors with a $50 million lawsuit. Looking back on these events with modern eyes, public reactions to the affair seem to have verged on hysteria. The Bulgari brooch that lived to tell the tale of “Le Scandale” is truly a timeless classic that looks just as stunning, brilliant, and beautiful as it did when Taylor first acquired it. After her death, many of her jewels were sold at auction and the brooch was acquired by another actress/jewelry collector, Jennifer Tilly, who very kindly lent her piece to the U.S. tour of Italian Style. Unlike some of the other objects in the exhibition, which today might seem a little ’80s shoulder-padded or ’50s matchy-matchy, the brooch seems to come from a place where passing fashions did not exist. But the scandal itself and the extreme reactions it provoked remind us that it isn’t just hemlines and silhouettes that have shifted over the past 50 years—our sensibilities have, too.